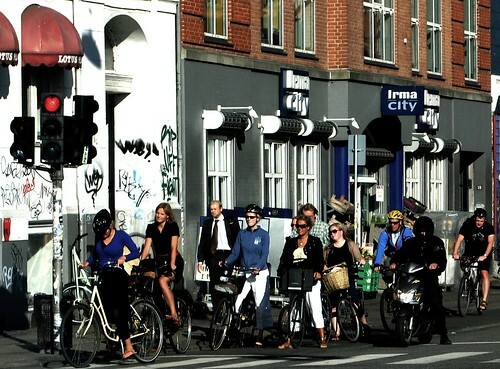 Copenhagen Bikeness, originally uploaded by [Zakkaliciousness]. If you think this is busy, you're wrong. This particular stretch of bike lane gets over 35,000 bikes between 06:00 and 24:00 every weekday. Often at this intersection you get a hundred or so bikes waiting for the light. So many that the light turns red before you get a chance to continue on.